The times, they are a-changin'. When haven't they been? But change isn't always good. Here are ten tech items whose days are numbered, and we're going to miss them all--though some more than others--when they're gone. 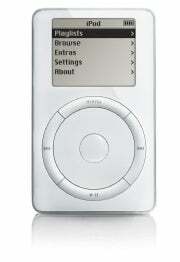 A first-generation iPod, now almost quaint in its simplicity. Sure, we'll still have portable devices that can play MP3s, but a few years from now they'll all be cell phones. Even the once-mighty iPod is no longer a growth product for Apple; in fact, iPod sales are now declining in double-digit percentages. It probably won't be long before Apple gives up on the thing, what with the far fatter profit margin that the iPhone offers, but consumers will lose out in the bargain. After all, wouldn't it be nice to listen to a song or two on the subway without having to pay 80 bucks a month? Soon we'll be toting external drives like this one when we need to access our slowly decaying physical media. Suppose that you need to install some software on several computers. You could download a copy from an FTP site, copy it to a thumb drive, and then carry that thumb drive from one computer to another, pausing at each waystation for drivers to install and for Windows to recognize the thing. Or you could grab a labeled, archivable application CD, pop it into each computer's optical drive, and handle the task that way (assuming that they have such a drive). And don't get us started on the agony of trying to watch a movie on your laptop without having a drive on your laptop. One mouse we won't miss. A funny thing happened this year. Computer manufacturers got it into their heads that people would rather lift their entire arm up off the table and draw on their screen with their fingers instead of using a touchpad or mouse as they have for the past 25 years. Blame the iPhone, of course: Multitouch went from the next big thing to the big thing right now, all because of that blasted device--and despite the fact that a phone in your hand and a mammoth laptop on your desk have virtually nothing in common. We'll miss the mouse (here's its history so far), at least until mountains of chiropractor bills outrage consumers, who then force vendors to wake up and bring it back. What's next? Putting multitouch into a table ? Wait, don't answer that. 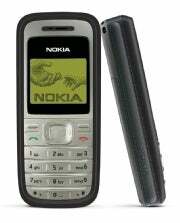 Nokia has sold hundreds of millions of handsets, each good for nothing more than making phone calls. It's pocketable and it can snap great pictures--but why carry one when you have a cell phone? There's nothing quite like receiving via MMS a grainy, underlit, out-of-focus, badly framed shot of your niece. Yet more and more the phone-clutching American populace is abandoning stand-alone digital cameras as the device of choice for snapping occasional photos; instead they're turning to their cell phones, which are always at the ready and are "good enough" for sending a snap to the 'rents or posting something pithy to their blogs. Fortunately, cell phone cameras are getting better (some even have a flash) and though they lack the manual controls of even a basic point-and-shoot camera, you can't argue with the convenience of carrying a single gadget instead of two. Stand-alone cameras will continue to exist, of course, but the days of the ubiquitous shooter-around-the-neck are rapidly drawing to a close. You can start it up and it never stops. At least that's what the song in the ads said. From the over-the-top marketing campaigns to the soothing default backgrounds to the dulcet startup sounds, what's not to like about Microsoft Windows? Again, don't answer that. But mock it all you want, Windows has served lots of people reasonably well over the years. Now the twilight of the OS is approaching, as the cloud consumes more and more of what we used to need our computers to do (explainer: Cloud Computing). From Webmail to hosted apps, online conveniences have rendered full-fledged computers unnecessary for many former users, who can get by with a Linux netbook or a Mac. We'll miss you most of all, Clippy! 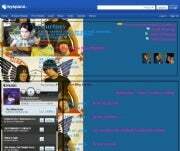 One of the more aesthetically pleasing designs on MySpace. We hasten to say: MySpace is horrible. We certainly won't miss the gaudy wasteland that fills 99 percent of MySpace space. Rather, we're going to miss the original idea underlying this social network--of a place where in theory you might go to find out where your favorite band is playing, listen to their latest tracks, hear a comic try out a few new jokes, and maybe keep in touch with your friends. Instead, MySpace has become a useless (and dying) magnet for spammers, clueless preteens, and attention addicts, none of whom seem to be in on the joke. Good riddance. Every horror movie fan knows the drill: When things get dire, there's no cell phone signal; or if there is, the battery dies within a couple of minutes (hot link: "Cell Phone Battery Explodes in the Night!"). If only Homeland Security could come up with a system of publicly accessible telephones that accepted pocket change and let citizens make calls from any street corner in America. 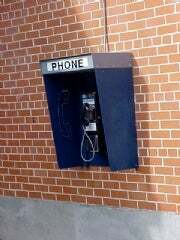 Alas, the telephone companies have largely dismantled the country's pay-phone system, though you may still find a few phones in an airport or subway station. Worst of all, the remaining pay-phone stations sit idle and ignored. Whatever happened to turning old phone kiosks into Wi-Fi hotspots? There's nothing quite like handing little Debbie a carefully wrapped Christmas present and watching her eyes light up as she opens it to reveal...an iTunes gift card. The death of packaged media--CDs, DVDs, laserdiscs, you name it--has turned thoughtful, recipient-focused gift-giving into a boring and perfunctory affair, about as heartfelt as slipping your grandkid a twenty and telling him not to spend it all in one place. And something else bothers us even more: With a digital download, you're in possession of an album or movie that has zero resale value. In the packaged media days, you could always resell unwanted media on eBay or trade it in at a local record store.